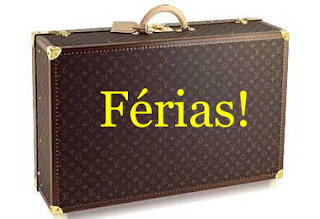 Estou de férias! Bem, mais ou menos. Vou tirar umas férias do blog e volto semana que vem com mais novidades. Já que não vou estar aqui essa semana, aqui vai a palavra da semana: Frutos. I’m on vacation! Well, kind of. I’m gonna take a break from the blog and I’ll be back next week with more news. Because I won’t be here this week, here’s the word of the week: Fruit. Good health – researchers have told us that even a small weight loss can help with high blood pressure, diabetes, you name it. I had lots of headaches and fatigue which went away in a few weeks after I started my weight management program. High self-esteem – something happens to your eyes when you start taking care of your health. You see yourself differently, it’s amazing how your self esteem increases when you exercise and eat well. Clothes – I stand in a total different place than I did a year ago. I was miserable trying to fit in my clothes. Today my clothes fit better, I’m not smashed in my jeans (I had to stop wearing them last year) or in anything else I have. 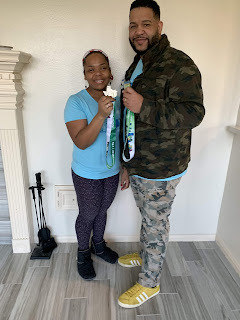 Jewelry – believe it or not, my husband had to cut a ring out of my finger. I got too big and grease and soap would not do it. Today my wedding ring is getting looser and looser. Another fruit I harvested is the willingness to dress up more often. I was so down I didn’t feel like dressing up unless it was a Sunday. You see, there’s much more fruit than weight loss alone. One of the many things I learned from Joyce Meyer is that fruit is DEVELOPED. 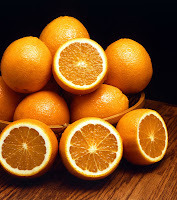 Look at a fruit tree and see that it takes seasons for an orange to come up and ready to become juice. It takes time to harvest fruit when it comes to weight management but if you keep working on it with patience you shall reap a harvest of blessings.